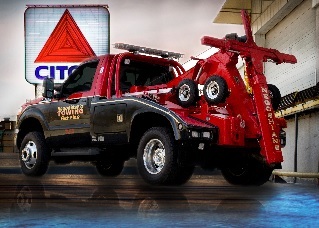 Conveniently located at 14 Elliot Street in Newton, with satellite locations in Needham and Norwood, we are a full service 24-hour towing, recovery, and transportation company. We take great pride in our fleet of trucks which you’ve probably seen throughout the Greater Boston area and along I-90, I-93, and I-95. Day or night, rain or shine, whether you’re in need of road service, towing, recovery, or transport, we are ready to go to work for you. In addition to towing broken down cars, Negoshian’s Towing offers long distance towing, R-V and motor coach towing, trespass towing, heavy duty towing, heavy equipment hauling, storage…we will even come out and deliver fuel or change a flat tire if you’re stranded on the side of the road. 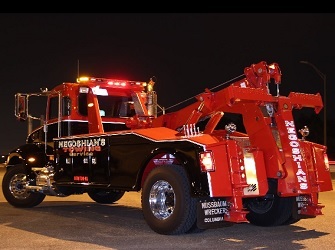 At Negoshian’s Towing Service, we invest in the best equipment, hire the best people and continually train them, and we continue to expand our services to provide you with a towing, recovery, and transportation experience that is second-to-none. 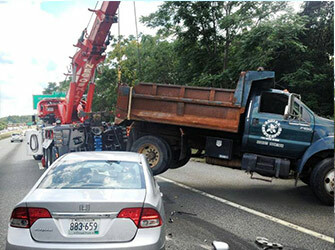 Negoshian’s Towing is home to one of the largest fleets of self-loading wreckers in the state. A self-loading wrecker enables the operator to load a vehicle from inside the cab using an automated system. Loading time is reduced from 5 minutes to less than one minute, bad weather is never a factor, and the operator and public safety official enjoy a greater degree of security as it enables the operator to clear the roadway quickly. Our vehicles are also equipped with “flip” emergency light bars. This means that the emergency lights “flip” down, reducing the clearance of the tow truck so it can fit into parking garages and other tight areas…places other tow trucks can’t due to height restrictions. Negoshian’s Towing Service has provided reliable parking enforcement services for businesses, property management companies, colleges, and universities for over 30 years. We offer an effective enforcement solution that includes, but is not limited to, on-site signage, parking stickers, towing authorization documentation and illegally parked vehicle removal, in accordance with the Massachusetts State laws. Providing and maintaining adequate parking to residents, visitors, patrons, and homeowners can be challenging in metro areas. Disregard of parking regulations can create parking issues and complaints within a property. Illegally parked and/or abandoned vehicles can lead to congested and unsafe parking areas, causing an inconvenience to residents, tenants, property managers and property owners. Negoshian’s Towing can provide the required signage in accordance with the Massachusetts State Laws to post on the property for a small fee. Please inquire for further details. This account type permits Negoshian’s Towing to patrol the designated property day or night, and remove illegally parked vehicles. Any vehicle which is parked on a No Parking Zone, Fire Lane, or does not have a proper/valid parking permit or valid vehicle registration will be towed.